Adani Shantigram The Meadows: World class luxury apartments in the heart of Gujarat! Adani group has launched a magnificent new offering in Ahmadabad, called Adani Shatigram the Meadows. 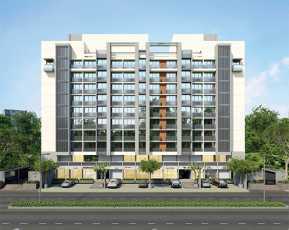 The complex boasts of luxury filled apartments, which are desired by all. 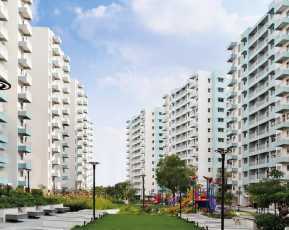 Spread over 27 acres of prime land, Adani Shatigram has a total number of 1996 units in 32 towers. 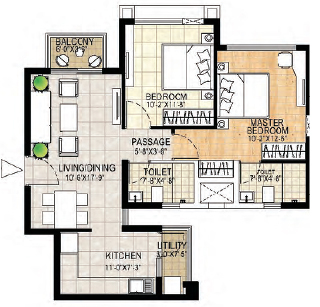 The complex has beautiful 2 BHK, 2.5 BHK and 3 BHK apartments ranging from 1080-2280 Sq. 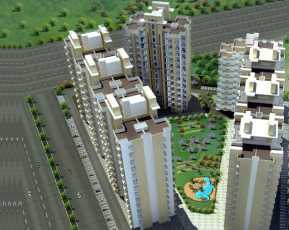 ft. that are filled the most modern amenities and facilities ever imagined. Adani Shantigram the Meadows Ahmadabad is strategically located near Vaishno Devi Circle on SG Highway, which provides excellent connectivity to other parts of the city and neighbouring areas. The Sarkhej-Gandhinagar Highway also known as the S.G highway connects all major parts of Ahmadabad city with Gandhinagar. The area has emerged as a hub of entertainment for city dwellers and is well connected via public transport. The project is located in the vicinity of all major civic and social amenities including shopping malls, hotels, hospitals, educational institutes, and more. The complex is filled with many luxurious amenities including a gymnasium, jogging track, tennis court, badminton court, and more, which is a dream come true for fitness enthusiasts. 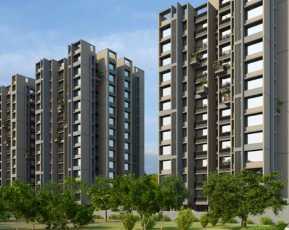 The features make Adani Shantigram the Meadows one of the most desired Property in Ahmadabad. The residential project has a huge 6 acre football stadium, and has lush green landscaped gardens within the complex. 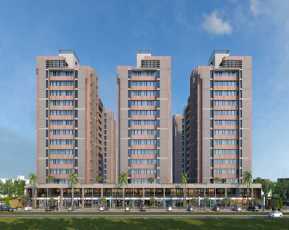 It also boasts of a fully loaded club house, swimming pool, children’s play area, indoor games area and more to fulfil the requirement of every resident. The project comes with the promise of Adani group which has established itself as one of the most reputed business houses of India in a short time. The group is known for the use of innovative and modern technology to modern home buyers. Adani Shantigram the Meadows price starts from just INR 51.50 lakhs and goes up to 1.04 Crs. to suit the budget of different home buyers. With these features, location and price, Adani Shantigram the Meadows is the best option for home buyers in Ahmadabad.